Mark's Tickets is the best place to find tickets for Los Angeles Clippers fans. Just check this page for any new events or schedule updates throughout the year. We sell tickets to every Los Angeles Clippers game around the world. We know how passionate Los Angeles Clippers fans can be about basketball, so we make sure to have hundreds of tickets for every game available right up until it starts. For those looking for cheap Los Angeles Clippers tickets, we offer tickets starting at very low prices (many times below face value). We offer tickets in most sections of every venue that you can see Los Angeles Clippers. Simply choose the city or venue that you are interested in below, and you will be able to see all of the available seats. Do not forget that Marks Tickets also specializes in sold out Los Angeles Clippers tickets. No longer will sold out shows prevent you from seeing Los Angeles Clippers. The Los Angeles Clippers are a professional basketball team that plays in the NBA. The Clippers play their home games at Staples Center in Los Angeles, California. With 82 games per year, and 41 being home games, The Los Angeles Clippers are a professional basketball team in the National Basketball Association, located in Los Angeles, California, United States of America. They play in the Pacific Division of the NBA. The club's home games are played at the Staples Center, an arena shared with the Los Angeles Lakers of the NBA, the Los Angeles Sparks of the Women's National Basketball Association (WNBA), and the Los Angeles Kings of the National Hockey League (NHL). The Clippers were originally named the Braves and were located in Buffalo, New York. Through relocations to San Diego then Los Angeles, the franchise failed to see significant regular season or playoff success. 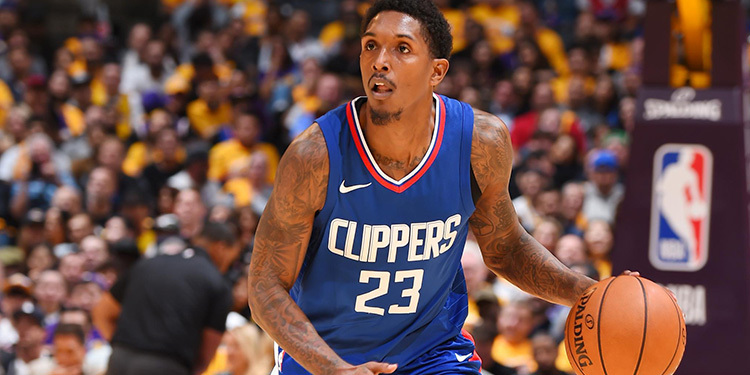 The Clippers are frequently seen as an example of a perennial loser in American professional sports, drawing unfavorable comparisons to the historically successful Lakers, with whom they have shared a market since 1984 and an arena since 1999. The Clippers' fortunes turned in the early 2010s with the acquisition of core players Blake Griffin and Chris Paul, and in 2013 the franchise won its first division championship, as the team made the playoffs for the ninth time in franchise history and the third time in the past eight seasons. They also added to their budding rivalry with the Los Angeles Lakers, as they finished with a better record than the team for the fifth time and won the season series for the second time since moving to Los Angeles in 1984, this time in a sweep.